Canola is an important feedstock for biodiesel, and the birds are costing farmers time and money. Schillinger and co-author Scott Werner of the U.S. Department of Agriculture National Wildlife Research Center recently published the first report of the phenomenon in the journal Industrial Crops & Products. See the abstract at http://www.sciencedirect.com/science/article/pii/S0926669016303764. 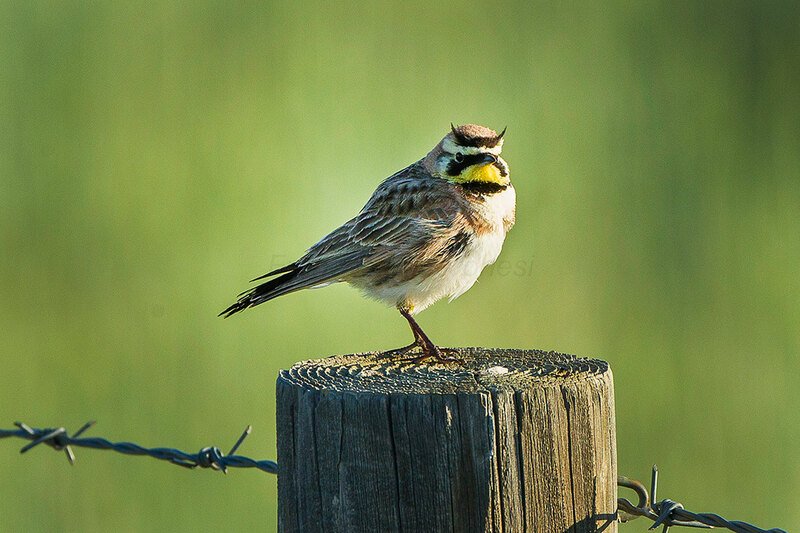 Horned larks are common native North American songbirds that inhabit open areas and fallow fields. They normally eat seeds and feed insects to their young. 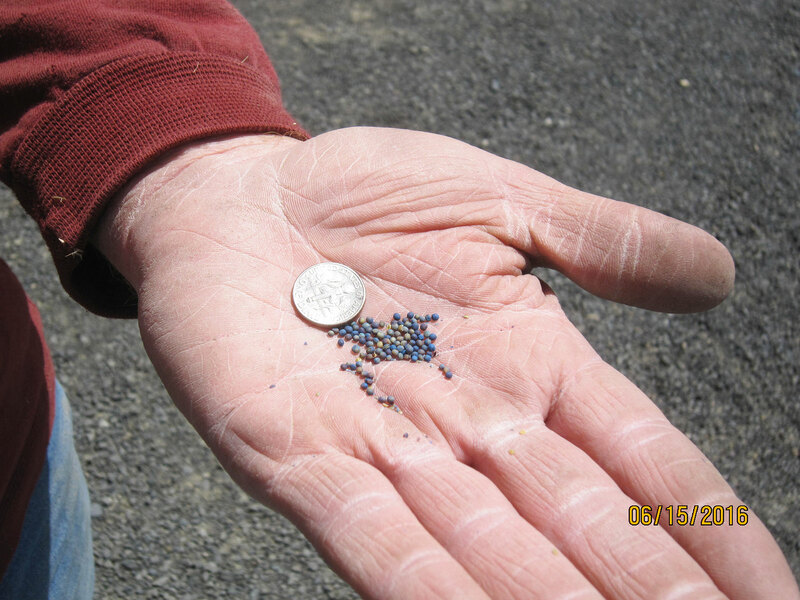 The birds started flocking in 2006, wiping out small one-acre research plots of canola before the seedlings could emerge from the ground. The birds eat the cotyledons, the initial two leaves that sprout from the tiny seeds. But the problem extends beyond the Lind Research Station. A farmer 50 miles northwest of Lind planted half a (crop) circle on a Saturday and the other half the next Monday, Schillinger said. One irrigated crop circle is 110 acres. The cost to replant is significant and the delay in planting can result in lower yields. Schillinger and Werner have tried many things to deter the hungry birds, but nothing seems to work. 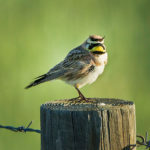 They covered a canola experiment with netting, mounted a life-sized owl decoy above the plots and set up a loud boom cannon scheduled to go off randomly. The birds were unfazed. After losing two entire irrigated crop circles to horned lark damage last spring, a farmer 30 miles west of Lind hired a falconer. As the trained falcons flew over spring canola fields, the larks immediately took flight but then quickly returned to feeding. 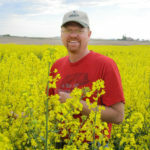 The effort ultimately resulted in less bird damage and a viable canola stand – but it was expensive, Schillinger said. Schillinger has a few tricks left to try and is hopeful that a non-toxic seed treatment will work. He hopes to find out later this summer. The Washington State Renewable Fuel Standard mandates that at least two percent of diesel sold in the state be biodiesel. 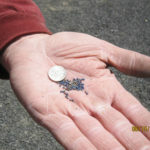 That amount will increase to five percent once the Washington State Department of Agriculture determines that in-state production of oilseed can meet this requirement. Canola research is in keeping with WSU’s Grand Challenges, a suite of research initiatives aimed at large societal issues. It is particularly relevant to the challenge of sustainable resources and the theme of meeting energy needs while protecting the environment.